The light beautifully captures the furl of the wings. Enchanting photo. Absolutely stunning. 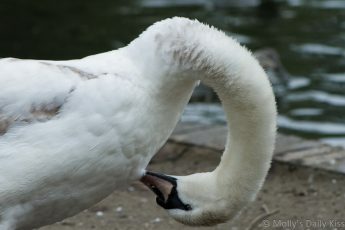 Swans are such gracious animals! 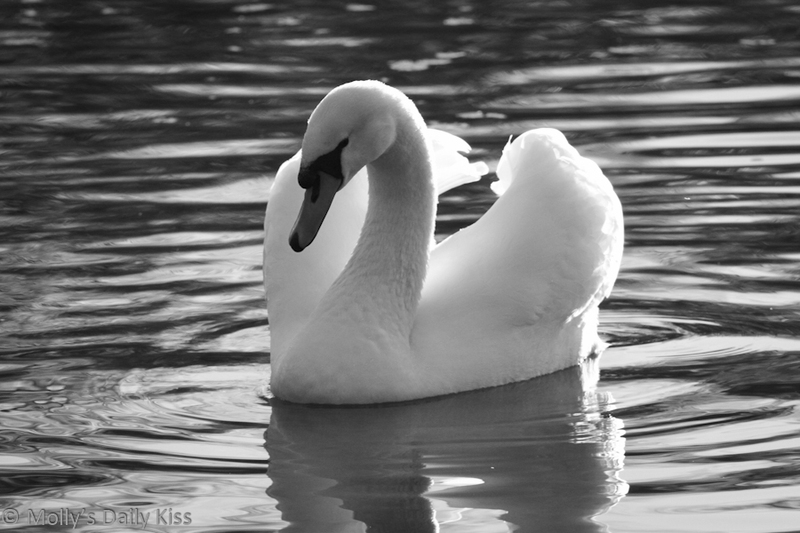 Beautiful b&w photo of the mute-swan! Simplicity both beautiful and serene. Wonderful shot of the beautiful swan! 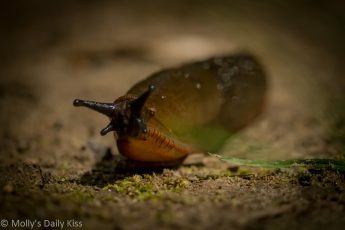 Your photo may show simplicity, but also elegance. So graceful. Excellent photo. Thanks for stopping to view my B&W.